DSiWare was / is a quirky yet admirable service, bringing some excellent slices of gaming in just 16MB or less. One title that was certainly in the top tier was Antipole, a gravity flipping action platformer that we rather enjoyed in our review. 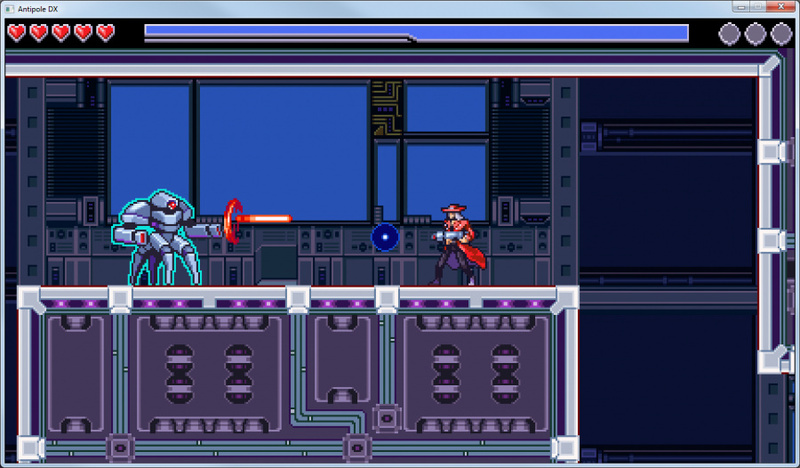 The good news is that it's heading to the eShop on Wii U and 3DS later this year in remastered form - as Antipole DX. 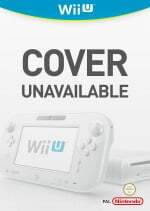 Saturnine Games has confirmed that this remake will have additional levels, online leaderboards and even Miiverse stamps. There'll be off-TV GamePad play for Wii U and stereoscopic 3D on 3DS, and the visuals have clearly been cleaned up a fair amount. This blend of gravity flipping (which brings VVVVVV to mind) and action platforming certainly looks fun. Check out the trailer and let us know what you think. Looks like a faster paced Metal Storm (NES). well i can tell you one thing, i would die ALOT in this game, based on what i saw in the trailer. Yeah, it looks super difficult. I played through VVVVV and picked up most of the collectibles, but this looks even harder. Hopefully the checkpoints are generous. This is totally reminiscent of Metal Storm! Another slice of retro 2D goodness for the eShop. Want! Looks like the type of game I'd enjoy...officially interested! Just compared this trailer to the original DSi version, and yes, the graphical improvement is indeed quite big. I'll have to keep an eye on this game.